If you’re thinking about getting into the online stock trading game, this isn’t something that you should just start up because you’re bored one day. You should really think about what it means to start trading stock and work hard to understand the details of the game. Down below, we’re going to go through some of the top things that you should know about online stock trading before you get started. Keep reading to learn more and be prepared for what you’re getting yourself into. One of the first things that you’re going to have to decide when concerning online stock trading is what company you’re going to work through. This can make or break your journey in this game of stock. You should start this process out by asking around in your group of friends and family to see if anyone has any experience with stock trading companies. This will give you a good idea of who you should be looking towards. Another thing that you should do to determine the best stock trading company is to search online. See what other people are saying about your candidate and if there are any sketchy things that they have to report. This will ensure that you get the most accurate information about the services that this specific company provides. Did you know that trading stock online is much cheaper and more affordable than going with a broker? However, you will most likely to have to pay some sort of commission for using their services when trading in stock online. 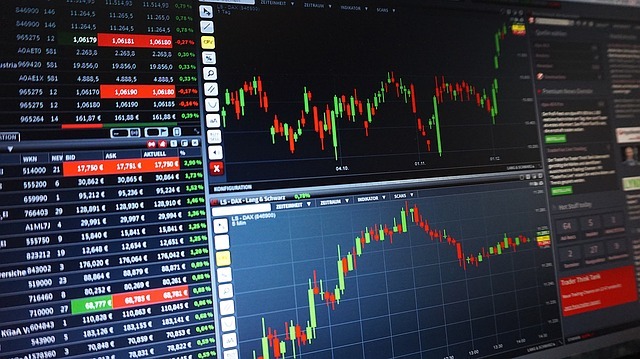 Even though these might not be as much as you would pay with a broker, there are times when bigger stock trading companies will take more commission than smaller companies. It’s up to you to do your research on these commission rates and determine which is best for your budget. There are plenty of mistakes that you can make when picking an online trading company to work through. One of those mistakes is not reading the fine print and finding out later that there are some hidden costs that you didn’t account for. Make sure to check through all of the documents to ensure there are no costs that you’re not aware of. One of the best choices that you can make when starting out in online trading is to choose a platform that’s easy for you to operate. There are plenty of platforms that are complicated or require extra software to operate. Try out a few platforms and choose the one that’s the easiest and most intuitive for you to work from. This will make it way easier for you down the road when you are working with the platform and learning how to trade online. Being an educated trader is one of the best things you can do in this process. And that also means going through a ton of trading companies to determine the best one for you to work through. You should have a long list of a variety of companies that you could use for online trading. Make sure to keep a detailed log of the benefits and drawbacks of going with each so you can make the most informed decision. And there you have it, folks! When it comes to online trading, there are plenty of things that you should keep in mind to make the best decisions. Which of these points were you already aware of and which ones are new to you? « Let yourself get artistically inspired by Angela Christina !